Michelle Cliff’s Abeng came out in 1984. Browsing a book store in Berkeley, I saw the title and wanted to know who was this person writing about my Jamaican culture. The Abeng horn was connected to freedom and liberation in Jamaica, especially among the Maroons. It announced, called the people to action and was a signal to unite and fight the enemy. I bought and devoured Cliff’s first novel, in the bildungsroma genre, and could well empathize with the young Clare Savage, the protagonist of that novel that is set in colonial Jamaica. I wanted to meet this Michelle Cliff. I was blown away by this endorsement as we had not yet met or had contact, but I was determined that this would happen. 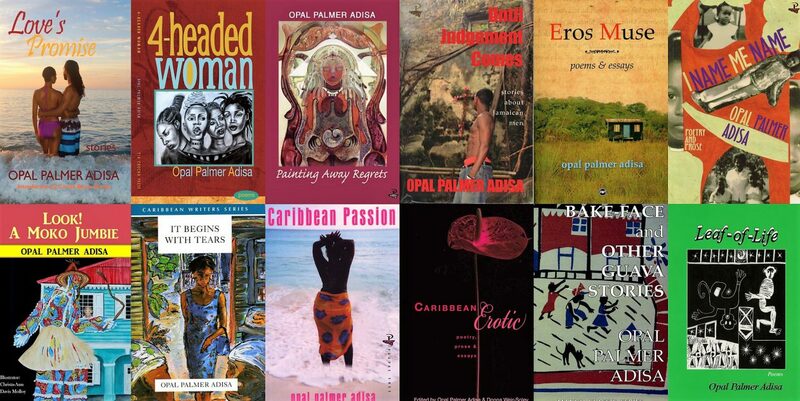 https://www.jstor.org/stable/pdf/10.2307/3041999.pdf Among the subjects Jamaican born writer Michelle Cliff ex- … The following text is based on two separate interviews: one … 01994 Opal Palmer Adisa . The Michelle Cliff I knew was shy and soft spoken, a gentle soul, who wanted to lead a very private life, despite being the partner of the very famous and late poet, Adrienne Rich. Although she felt estranged from Jamaica, and refused to return because of Jamaica’s homophobia and violence, Cliff was nonetheless deeply in love with Jamaica and researched its culture which is the setting of both Abeng and No Telephone to Heaven, her first two novels.These works, like her other works explore the very thorny issue of race and class in identity formation, and the impacts and residual effects of post-colonialism. I spoke with Michelle Cliff about a month ago. She said she was not feeling or doing well, but thanked me for the call, and like always asked about my children. I promised that I would visit with her in the fall when I will be in California, and perhaps do another interview, a continuation of the first. Michelle Cliff’s works are important contributions to the Caribbean canon, and her death will leave a void. Her poetry/prose collection, Claiming an Identity They Taught Me to Despise, 1980 is an important work that I have taught, along with her other novels. I hope you are rocking in the arms of peace and the cool breeze from the Blue Mountains, our island home, enfolds. Be well my sister in letters and friendship –Michelle Cliff, you will not be forgotten. 1985:The Land of Look Behind and Claiming (Firebrand Books). 1980:Claiming an Identity They Taught Me to Despise (Persephone Press). OPA: The Rhythm of August Rain is your 4th title in your detective series that is set in rural Jamaica. Are readers to believe that Shad, the bartender who plays an amateur detective, has real skills to seek out facts, or is he to be perceived as one who dabbles – this is just a hobby? GR:Shad’s true vocation is being a detective. In another culture or time, he would have made it. However, due to his prison term and his lack of formal education, he is limited to working as a bartender and practicing his vocation on the side. He has few skills when the series starts out but tries to educate himself as it goes along. Above all, he is immensely curious. OPA: What distinguish this series as a detective genre? GR: The series was created as a Caribbean parallel to Number One Ladies Detective Agency. Both fall into the category of “cozy mystery,” not the typical blood and guts form of mystery. There is more character and plot development than mystery to this genre. OPA: How did you arrive at the title, which has a very poetic ring? How does the title connect to the central story of this novel? GR: The title came to me one night in Ann Arbor in a dream. A woman in a bright blue dress said the words and told me it was the title. I got up and wrote it down. OPA: There are at least 3 competing stories, Shad and his impending marriage, his boss Eric and his relationship with Shannon, the mother of his daughter, and his daughter, and then the story of Katlyn, the missing woman from Canada 30 years ago and her affair with a Rasta who is/was a member of one of the Rasta sects. Was it challenging during the writing process to juggle these three story lines and keep each going? GR: No, I’m used to having one main plot and three subplots, part of the formula I use for the series. The subplots are ongoing, i.e., Shad’s relationship with Beth, Eric’s haphazard life, and the development of the hotel. The main plot differs with each novel. In this case, it’s the story of Katlyn and her entanglement with the Rasta community. By the way, I did know a Canadian woman who went into a Rasta community and came out dying. OPA: What research did you do to writer about the Rastafarian community? GR: I read several books written by Rastafari or about them. Barry Chevannes, Yasus Afari, Gerald Hausman, Leonard Barrett were some of the authors. I also discussed the philosophy and lifestyle with Yasus Afari. OPA: What do you want readers to learn/take away about Rasta culture, it’s various sects? GR: The point of including Rasta culture and history was to set the record straight, particularly for foreigners who don’t understand or appreciate the origins. I also wanted to show that prejudice has existed toward the group since its inception and, to a certain extent, continues today. Jamaicans are proud of the music, but many still would not want their daughter to marry a Rasta. OPA: Eric has not reached out to his daughter, Eve since she was born, and while you do reveal some initial tension between the two when they are reunited, she is a teenager, and Jamaica is very different from her Canadian environment, but it seems that all is forgiven rather easily. GR: The relationship between parents and child is a complex one, in all cases. Eve is at an age where her emotions are heightened. She hates her absent father, but she’s curious about his world and wants his acceptance. She begins to see that he’s not a bad guy after all. I think a big part of her coming around is that she likes Jamaica and wants to return. Adolescents tend to be very egocentric. OPA: Classism and colorism are big social issues in Jamaica still, yet it seems non-existent in the novel, in that Shad is accepted by Eric, even though American, his best friends are brownnose Jamaicans, who appear to be also accepting of Shad and his family? I don’t know if I have a questions so much as I would like to hear your opinion of these social constructs that impact relationships in Jamaica. GR: In each novel, I have attempted to deal with a single social issue. I think it would make it too confusing if I’m following several plots and subplots and trying to introduce all the problems existent in the island. In my first novel, The Goat Woman of Largo Bay, the issue was political corruption. The second — The Man who Turned Both Cheeks — discussed homosexuality and homophobia. The third was The Sea Grape Tree. I went into class and color prejudice in that book. OPA:At the close of the novel, everything is resolved amicably, and all puzzles are in place. Given the context of Jamaica, would it be that easy to solve a 30 year mystery of a white woman in rural Jamaica who goes missing? And given that tourism is such a big part of Jamaica’s economy, would the government have just brushed that case aside, like it apparently did? GR: Fiction is not real life, just a reflection of it in the lens of a writer. I always leave things unresolved that are not going to leave the reader with an unfinished feeling. In August Rain, I tried to wrap most things up, in the event that I would end the series. Unfortunately, we never had a real resolution to the death of my friend Sharon.